Intermountain Cancer Genomics uses DNAnexus as the bioinformatics platform for the center’s next-generation sequencing-based panel to guide targeted treatment in cancer patients. Intermountain’s cancer panel comprehensively profiles tumors and DNA mutations. Instead of blindly throwing chemotherapies at the patient, the Intermountain test finds actionable variants of the tumor sample by which oncologists can prescribe a medication/therapy that directly targets the cancer gene. The focus of Dr. Nadauld’s talk was on the results of Intermountain Cancer Genomics clinical cancer genomics program, which was established to assess outcomes and costs with the implementation of precision cancer medicine. They conducted a cohort study of 72 patients with metastatic cancer of diverse subtypes. The outcomes of 36 patients treated with Intermountain’s cancer panel were compared to 36 control patients who received standard chemotherapy. The findings from this study were astounding. Patients receiving precision cancer medicine nearly doubled their progression free survival rate (23 weeks vs. 12 weeks). Extending a patient’s life for 12 weeks may not seem significant, but patients enrolled in the program were very sick, with no promising treatment options remaining. The life of one patient, who was expected to live for only 6 weeks, was extended to 18 months on the targeted therapy. During that time, he was able to see his daughter go on her first date, an experience that would not have been possible without Intermountain Precision Genomics. Not only did the Intermountain cancer panel enable identification of treatments that significantly improved survival for patients with advanced cancer, but the study also found that costs were essentially identical for precision cancer medicine vs. standard chemotherapy treatment. This defies the common industry perception that precision medicine increases the cost of treatment. Although previously viewed as a final option to consider when other treatments had failed, this information about the cost and effectiveness of precision medicine for cancer treatment has led to service requests and sample submissions from oncologists treating patients at all stages of metastatic disease. The goal of Intermountain Cancer Genomics is to allow all patients to have access to precision medicine. Initially piloted internally, Intermountain has now made their genetically targeted therapeutic approach accessible to other providers via their web portal. Intermountain is on a mission to create a huge database to correlate tumor genome data with treatment protocols and clinical outcomes. This database will ultimately be a valuable resource where physicians, clinicians, and researchers can learn from each other. 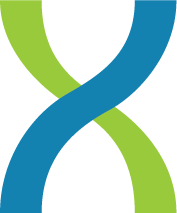 Intermountain Cancer Genomics uses DNAnexus as the bioinformatics platform for its next-generation sequencing-based panel that produces the information required to guide targeted treatment selection. The DNAnexus platform enables Intermountain Cancer Genomics to run its bioinformatics pipeline in the cloud, providing unmatched computational power, cost, scalability and access to genetic testing and data. DNAnexus worked together with Intermountain to develop a cloud-based bioinformatics pipeline that translates raw data into interpretable variants. With DNAnexus, Intermountain can scale up quickly and is able to share its cancer testing tools and datasets securely outside of its healthcare group, offering a network of cancer resources to physicians and patients everywhere while advancing genomic discoveries. Read more.